Cantley Hall was built for the Childers family in 1785. The Hall was sold to a colliery company in 1901, and then after that was leased to various tenants. 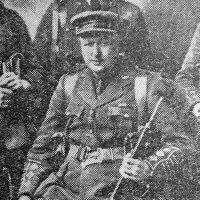 One of its tenants, John Reginald Shaw, was an Honorary Colonel of the King’s Own Yorkshire Light Infantry during the First World War and was involved heavily in recruiting for the regiment. Cantley Hall is currently a private residence.